Just thought you might want to see what I've been painting. In case you need a lil sign'age in your home. Susie, you are so talented and motivated. I just love how you see something or get an idea and you go for it! 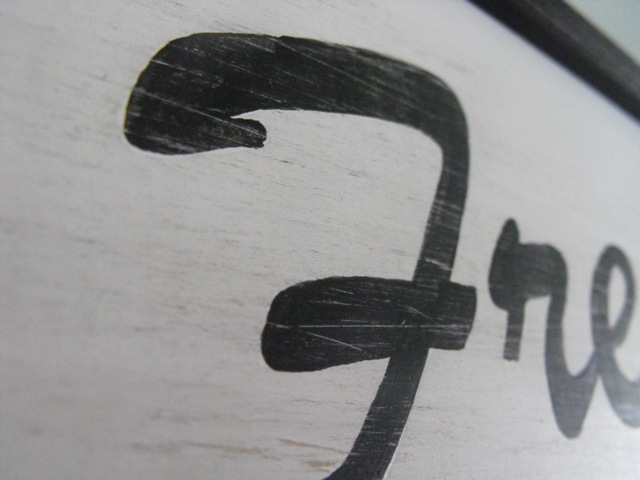 Have you thought of doing any signs for the garden? Omigosh Susie, they are precious. So French Chic! I just love them. Oh I NEEEEED that egg sign!!! What with having the henny pennys and my new cutie chicks! Oh how I love HUGE signs. I have a few around the house and hubby thinks I'm crazy, but they make my heart pitter-patter. 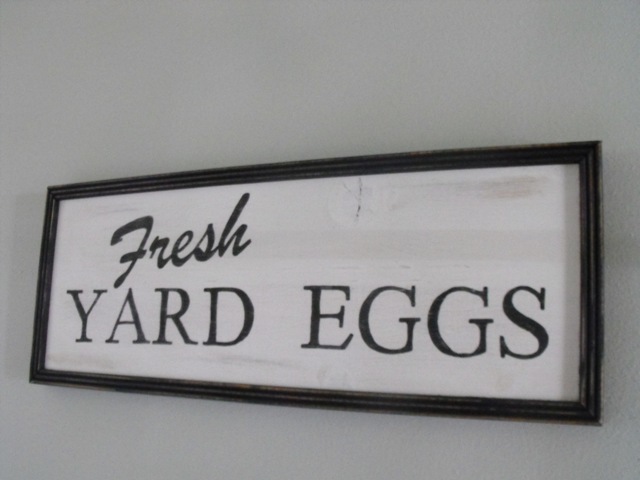 I absolutely adore all of your signs, especially that fresh eggs sign! It would look perfect in my house. You're such a talented lady! Your signs are fabulous. I love the color of your walls by the way. Wow, Susie. . . your signs. . . I'm just determined to find someplace around here where one of your signs would be just the thing. Your work is absolutely beautiful!! Hi Susieness! OH, I love your new signs! How talented you are! I'm so loving all your signs especially this first one! I wish I had a place for it! Love your signs. I can't think of anything better to put over cabinets and large pieces of furniture. I better go check them out a little closer. Susie, The signs are wonderful! I also love the large farm signs. Girl, you are so talented. love the signs. Can't wait to see what you been doing with the other signs. Always so beautiful and charming! I love those signs! 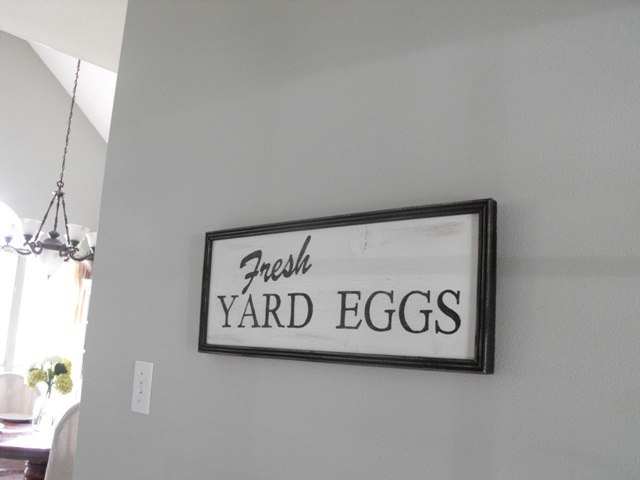 I especially love the egg sign since we have chickens. So fun!!! I could use a sign or two on my fence.. that would be way too cute. Susie.. any pineapple signs yet?? Love to see some of those when you get em done. btb.. just a nice clean look in the kitchen now. Love these..you are so talented!!! 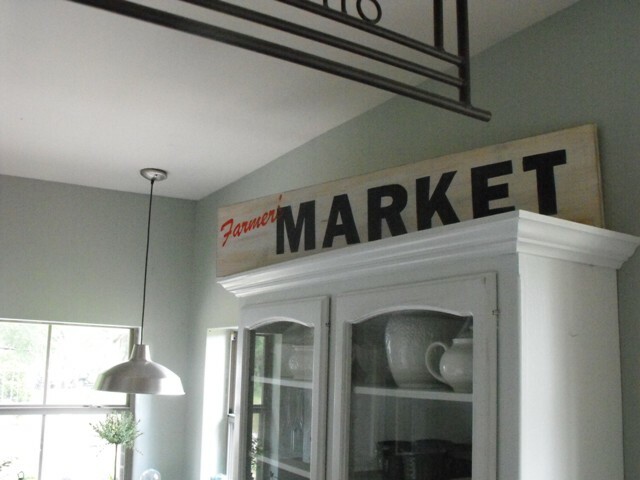 Ceilings..slipcovers..signs... you need your own show girl!!! I need to submit your name to HGTV!!! Your new signs are wonderful. Living on a farm in the Garden State, I can attest to the fact that these look like the real McCoy! I too notice how white and bright your kitchen looks. I like it! I LOVE your house!!! could you please come decorate mine? LOL!!! sweet. Oh my gosh! What cuteness!!! 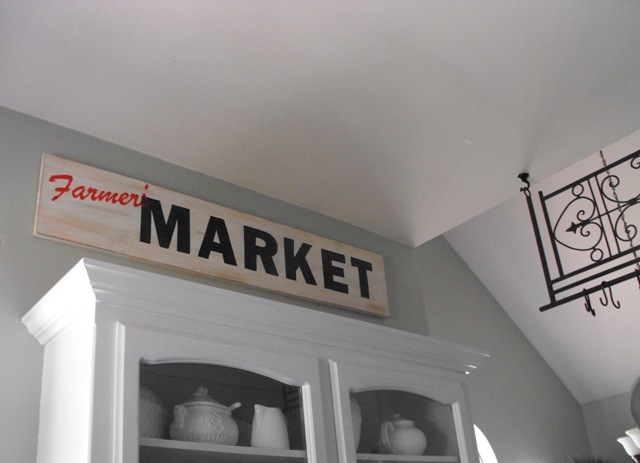 Susie - I love this sign. I have been on a sign kick lately myself. 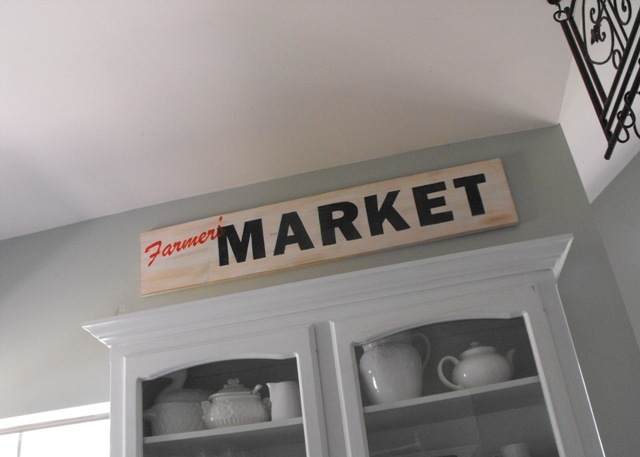 I love the farmers market sign so much I made one myself. along with some other signs. 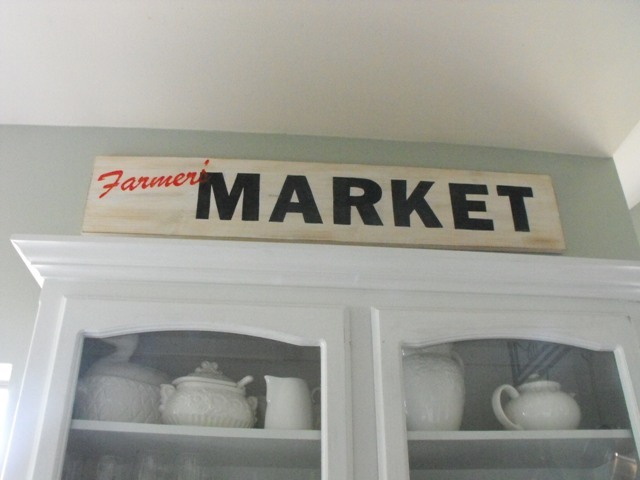 I am going to blog about them, of course I will give ALL credit to you for the farmers market knock off. You're becoming your own category. Soon we'll see "Susie Harris Knock-offs" in the linkys! thanks for the inspiration! LOVE all your stuff!